One of the great things about going to the track is developing friendships. It’s great to have a group of guys that sit around the table and discuss racing and enjoy the company of one another. But there needs to be a time when you tune out your buddies, especially if they begin to spew an abundance of analysis. One thing about playing the horses – it is your pocketbook that will either swell or diminish when you go the track. Therefore, it is best to depend solely upon your judgment and what is revealed by your own study. The same goes for the ‘talking heads’ on TVG. Take what they say with a grain of salt. Now if they interview a trainer and that person gives some revealing information about their runners, then that is a different story. 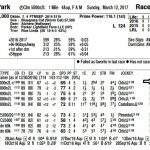 But don’t let who TVG Analyst #5 likes in the 7th at Belmont sway your opinion on that race. Stand firm in your convictions. 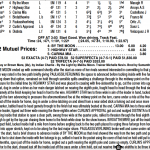 Handicapping Tip of the Day #21 – The Right Track Surface? Are you sure of the surface of the upcoming race? A player must pay close attention to all races carded for the turf because sometimes one or more of the grass races will be moved to the main track. Races are taken off the turf for several reasons, usually due to excessive moisture on the course. A change of surface can affect everything when it comes to the handicapping process. All changes are usually announced several times and posted on the tote board and monitors. Yet many players see the word TURF in the conditions and they forget that things may have changed. Not all turf races are taken off the turf and this makes things more complicated. 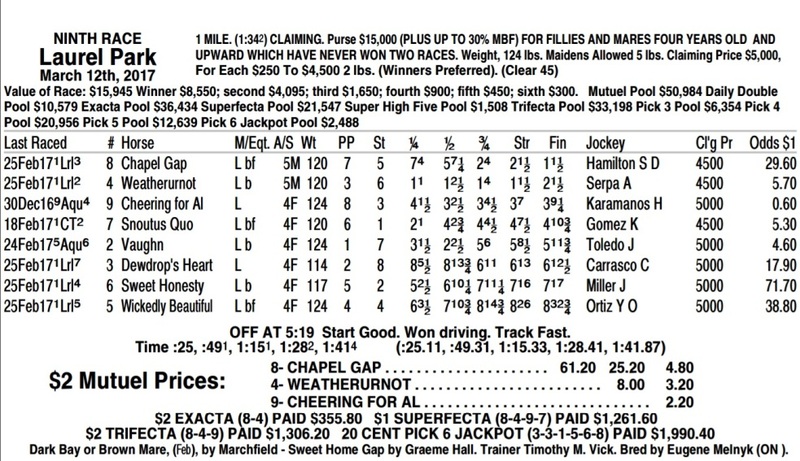 For example, just this past weekend a race was taken off the turf at Gulfstream Park with only three minutes to post. If a track has three races carded for the turf it may not change the surface on all of the turf races. This is when alertness is the best handicapping tool you have. When simulcasting wagering really took off in the late 1980s into early ’90s, the game of horse racing betting changed dramatically. Today, younger horseplayers have no idea what it was like in the past when one had no other choice than to focus on just their home track. With the exception of major events like the Kentucky Derby, wagering on other tracks was not an option. 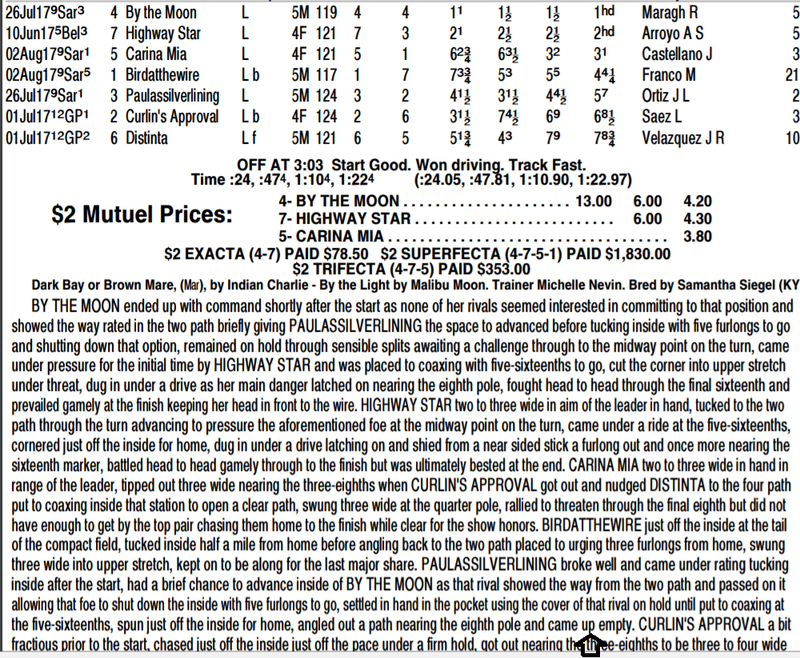 There was a lot to be said for the time when a handicapper could only play his hometown track. You were forced to know the trainer and jockey colony inside and out. 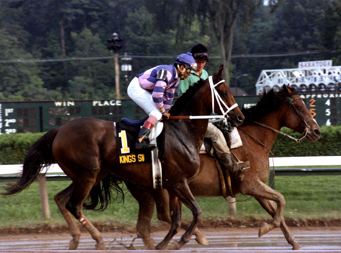 You even knew the horses by name, what their abilities were and in what type of races they fit. I would watch the Harvey Pack show many nights with my father after coming home from school and taking a break from homework. Oftentimes I could pick the winner just by looking at the entries they would flash on the screen prior to showing the race replay. “Well, King’s Swan should handle that field,” I would state, and all too often that’s exactly what would happen. 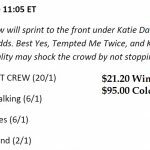 Good luck doing that today in the age of simulcast wagering. 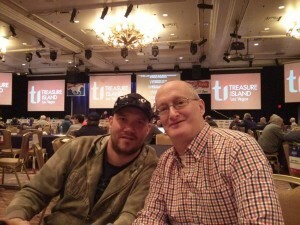 Many horseplayers are all over the map, trying to conquer tracks from coast to coast. Consequently, they are not as familiar with the trainers and jockeys or how the track plays at particular distances and surfaces. If you’re not getting the results you want, take a step back and look at how many tracks and races you are playing each week. It might be time to focus on your hometown product.